What looks fabulous on you? An awesome attitude and a great sense of humor. 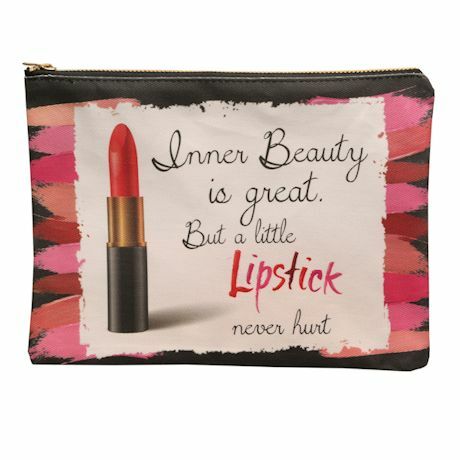 For the finishing touches, our "Things that make me look fabulous" clutch is sized to hold all your cosmetics and beauty tools. 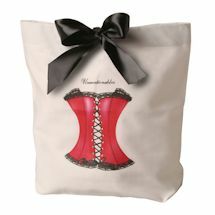 Great as a tuck-in for your daily tote, or use it to keep the bathroom counter organized. Zip close. Spot clean. Handmade in 100% cotton. USA. 7" x 9".